Transcribe life’s most precious moments. 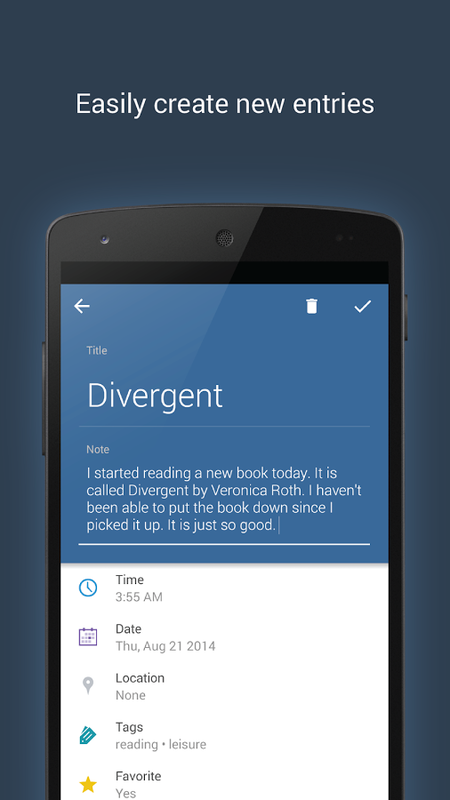 Jot down quick notes throughout the day. Keep track of ideas and potential projects. Narrate is designed to be unique to each user as well as to conform to their needs. 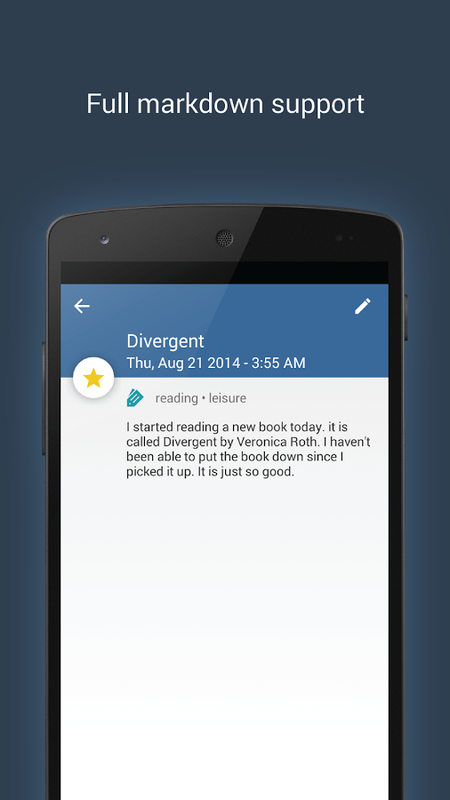 It can serve as a simple note taking application or it can be used as a journal to hold your most precious secrets. 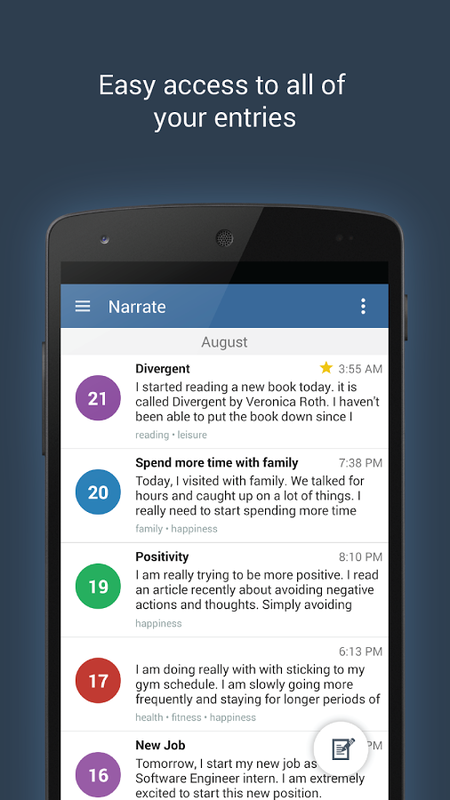 Narrate was created with the best possible user experience in mind. The team behind Narrate is committed to providing frequent, feature-packed updates, modern design, fantastic user support, and much more.